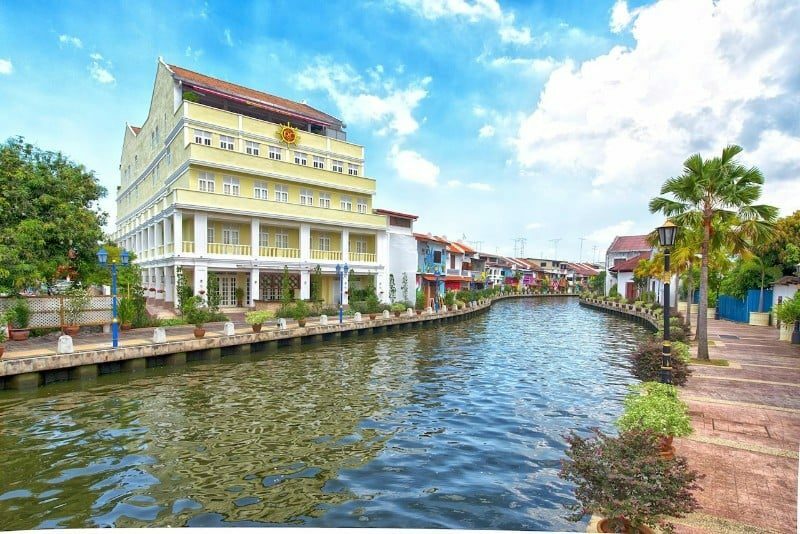 Set on a promenade lined with shops and restaurants, this Colonial-style, polished hotel along the Malacca River is 1 km from both the Malacca ferry terminal and the 16th-century St. Paul’s Church. Refined rooms offer flat-screen TVs; some have balconies. Family rooms add extra bedrooms with bunk beds. Wi-Fi access is available. There’s a chic lobby bar with a terrace and river views. Other amenities include a Mediterranean restaurant on a rooftop terrace.